The big question for many businesses: Are Newsletters a necessity? As a technology company, FirstABS has long embraced the e-Newsletter as a form of communication between us and our clients, but it might surprise some of you to know that creating e-Newsletters annually, quarterly, bi-monthly, monthly, weekly or however frequently is no small task for a business. The truth of the matter is that the answer to that question is not so transparent, and depends entirely on each company in question. 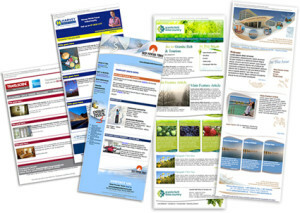 Newsletters present a way for your business to regularly communicate with your clients, partners and potential customers. They are packed with information that quickly gets your readers informed on whatever you feel are the most important things for them to know. Additionally, Newsletters are an excellent way to increase the strength of your relationship with your readers by offering exclusive deals, discounts, coupons or chances to win something. Of course, those that are not staying as informed on your company will miss out on these opportunities, thus creating a feeling of exclusivity for your loyal readers. So for those companies who care as much about their customers as FirstABS does, the answer to “Are Newsletters a necessity” is a resounding YES! 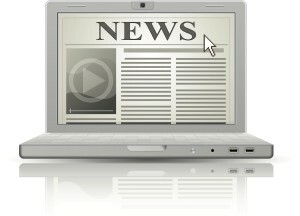 At FirstABS, we view our quarterly e-Newsletter as an extension of our customer service. We want you to always know how we are evolving as a company to further benefit you, our loyal customer and friend. If you do not already receive our e-Newsletter, you can subscribe at the bottom of this page! Each e-Newsletter contains a message from our President and summarized updates, changes, tips or news that we feel are important for our customers to know. In addition, we also routinely have Trivia Questions that can be answered in our “Quiz Corner” for entry into a prize drawing. admin /wp-content/uploads/2017/05/Logo-e1494168890244.png admin2014-06-02 14:39:002017-10-06 23:44:13Are Newsletters Really Necessary?